We’ve spent out last night in Maine, and slowly turn toward Michigan today. 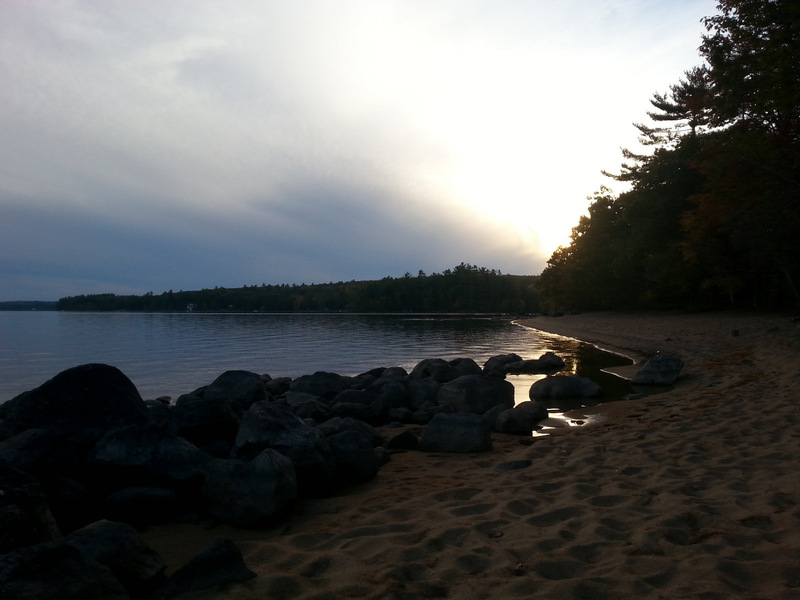 Our campsite last night was Sebago Lake State Park. 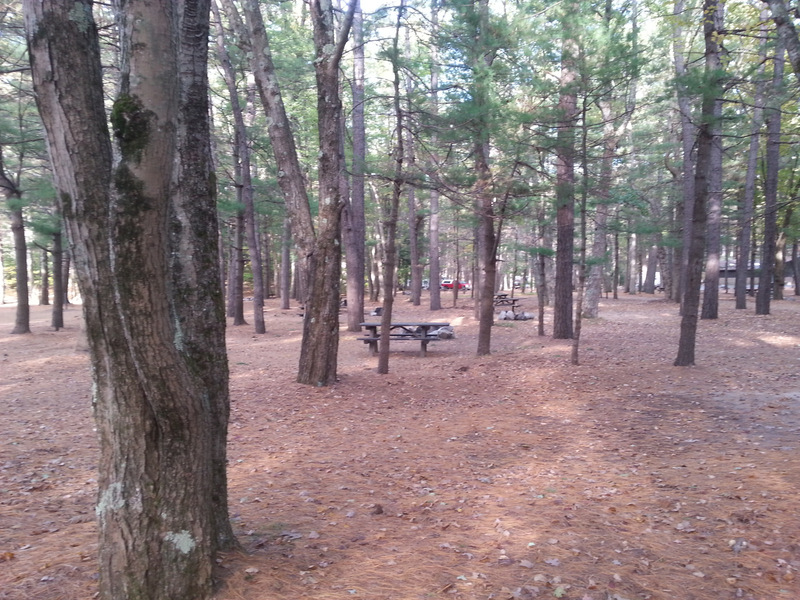 I’ll let the photos speak for themselves….you can just see our truck in the empty campground. 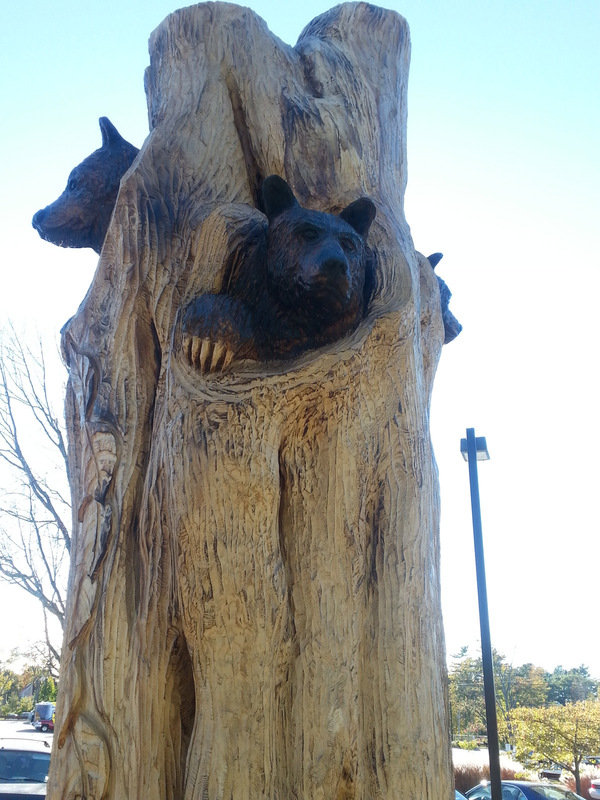 We did sneak into Freeport, where it’s LLBeantown. 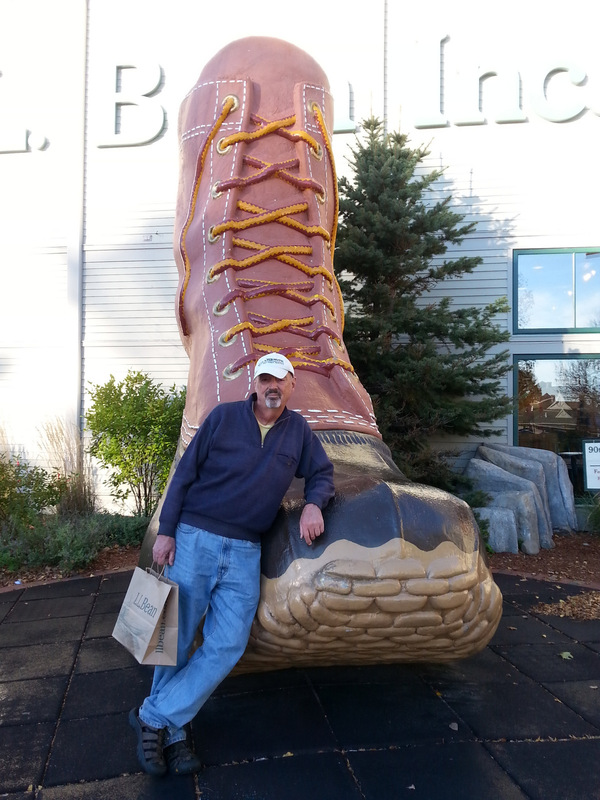 Four gigantic stores of LL Bean, all open 24/7. We let them relieve us of a bit of our money, so that John has a decent chair in which to rest (see above photo). Our other cheapie chairs have been ripping and bending. We’re throwing them in dumpsters along the way as they give out. On our way to Weare, NH today, where we’re going to camp for a couple of days with folks who also have T@DA trailers. We’ve really been looking forward to meeting these people and swapping tips and stories. 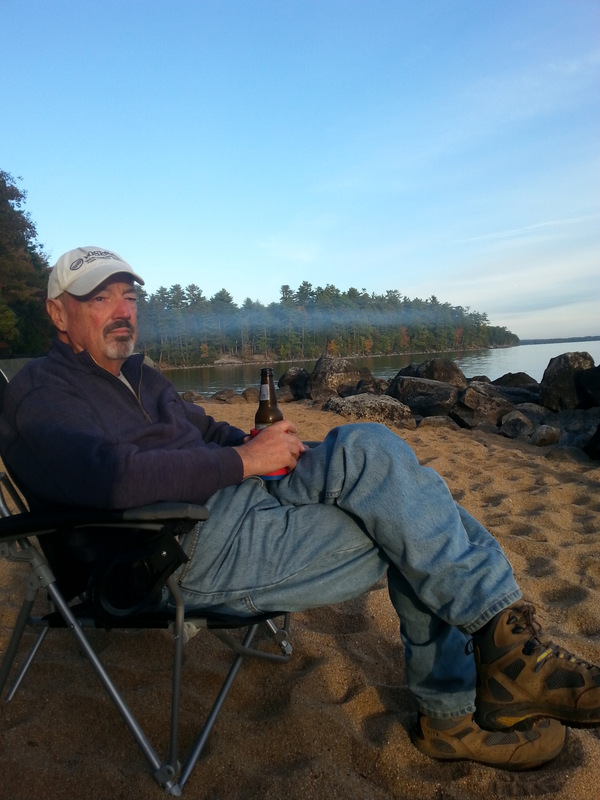 This entry was posted in camping, great outdoors, Maine, retirement, simple camping, T@DA and tagged camping, Maine, retirement, road trip, simple camping, the great outdoors by Judy Crankshaw. Bookmark the permalink. 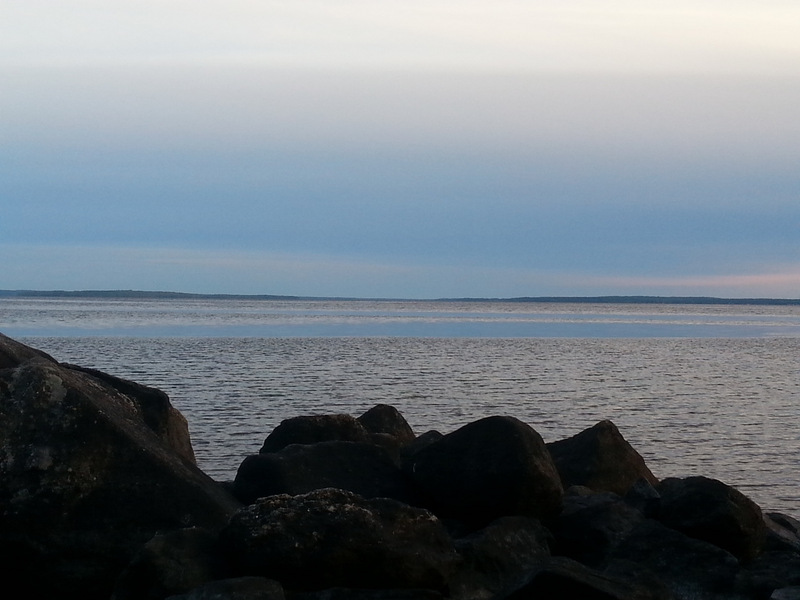 I have also seen that strange pattern of smooth and choppy water on big lakes down here. Hope you have a wonderful time at the T@DA gathering! God sure is a wonderful artist!